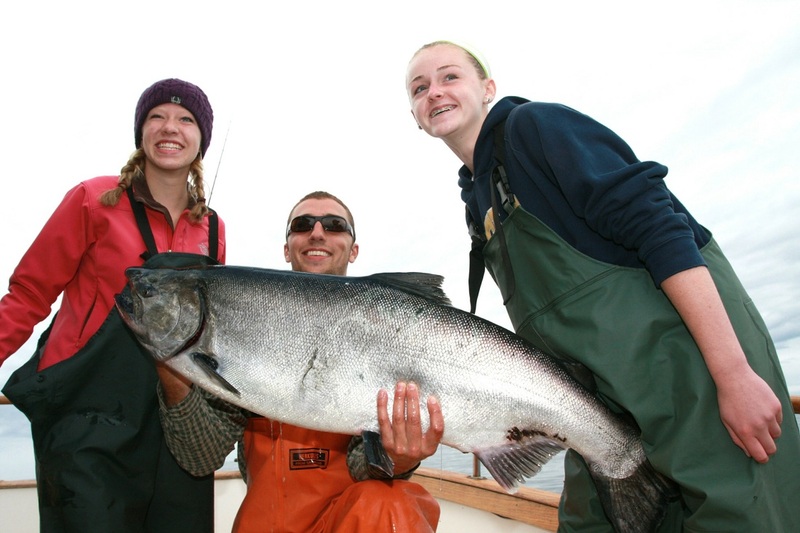 This is the largest member of the Salmon family and ranges in size from 10 pound adolescents to over 60 lbs slabs. 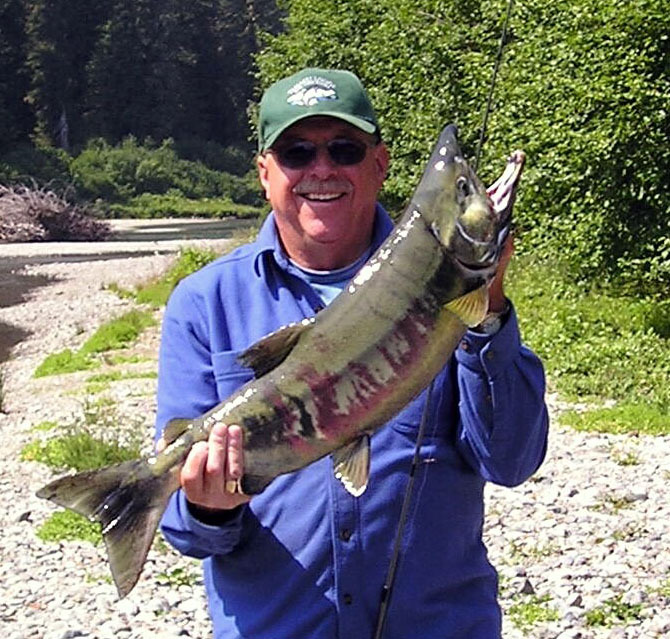 Kings are available year round with optimal fishing conditions from early May into June. If you enjoy feasting on your hard-earned catch – Kings are at the top of the culinary list with its deeply flavorful flesh. If you have a hankering for BIG CRITTERS from the DEEP - these flatties will give you one hard-fought battle you will not soon forget! It may be advisable to 'hit the weights' and get pumped up like Arnold before taking on these heavy-weight game-fish. 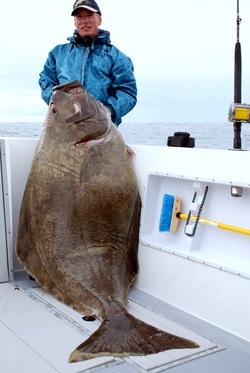 I have personally handled 450 pound halibut, but monsters landed larger than 300 pounds are uncommon. Don't get me wrong - they are out there, but probably, due to their longevity, have learned to avoid the hook. Every season Halibut in the 300 pound class are landed in our area. I personally prefer 'butts' in the 50 to 100 pound range. In my opinion, they simply taste better. While they are known to be bottom-feeders, that is somewhat of a misnomer, because they will chase pink salmon into the shallows at the mouth of rivers. You will find a great abundance of this frisky fish when they begin to invade the outer strait in July; providing lively sport fishing action well into September. 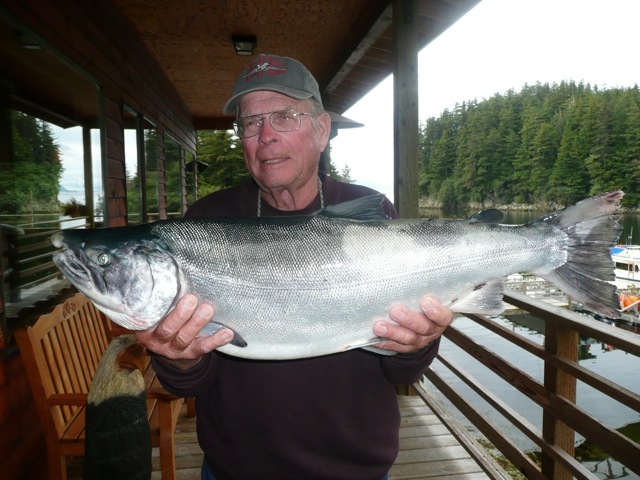 Coho range in weight from 6 - 18 pounds during the season, with lunkers topping 20 pounds. Whereas Kings tend to feed greater distances from the surface water; cohos feed nearer the surface. They are a very acrobatic fighter. In terms of eatability - they are very delicious and add color to any plate with their rich, red flesh. One of the most awesome monsters landed from our waters is the ancient looking Lingcod. While not the most attractive game fish, they, in my opinion, provide some of the best eating around. 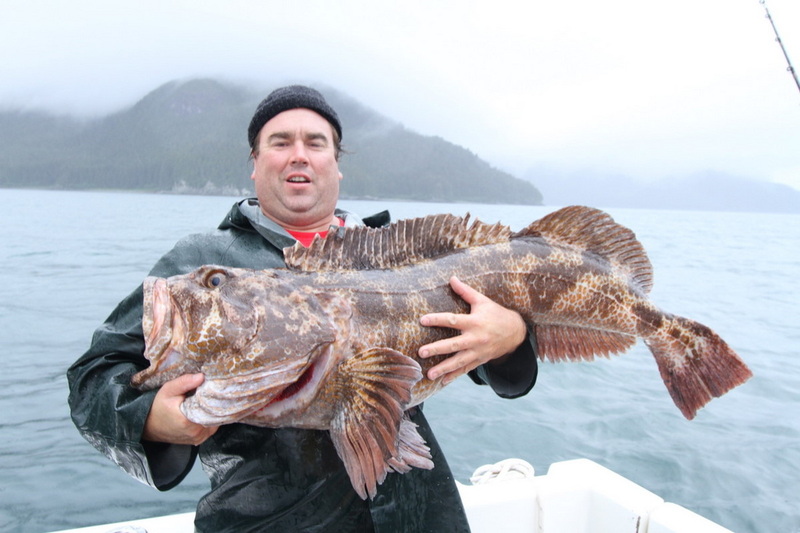 Lingcod range from 10 to 80 pounds. The average is around 20 pounds. You will find these ungainly creatures along the rocks and reefs of Cross Sounds and the Alaska gulf coast. Have a reputation as a hard hitting salmon and run from 8 to 12 pounds, with the biggest breaking the tape at over 30 pounds. 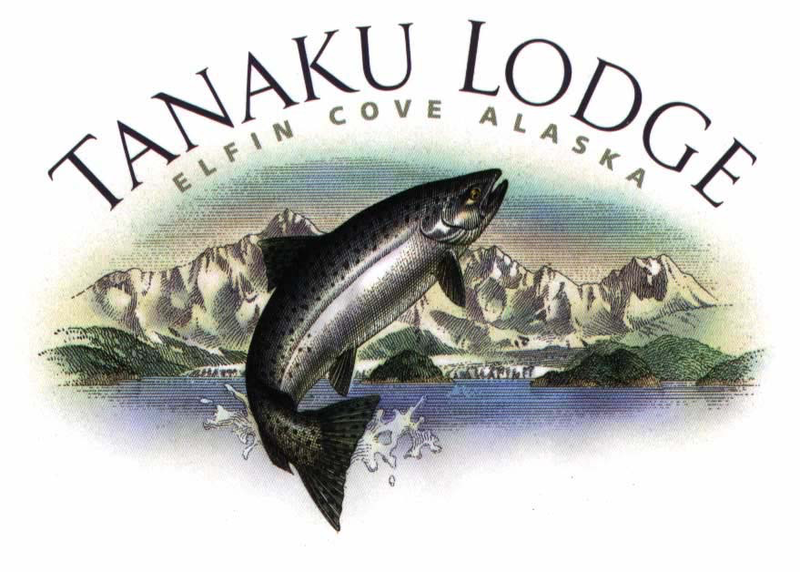 The Juneau Alaska hatchery releases of Chum are an enormous boom to their numbers around eastern Icy Strait waters. Personally, I prefer Chum salmon smoked. These fish present a rich collage of colors and flavors. 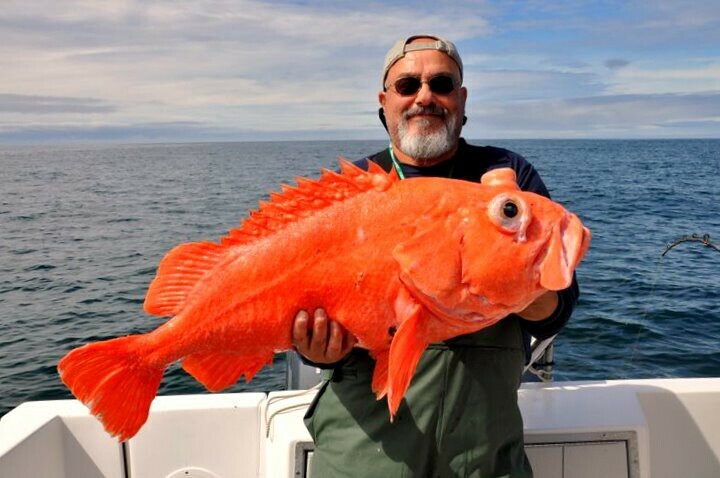 All rockfish are tasty and some will provide a real challenge against your efforts to land them. If you want a good battle, hook into a 40 pound yelloweye on light tackle! Though relatively small, when compared to their bigger cousins (ranging between 3 to 6 pounds), pound-for-pound, these feisty game fish will provide willing anglers with fishing action they won't soon forget! 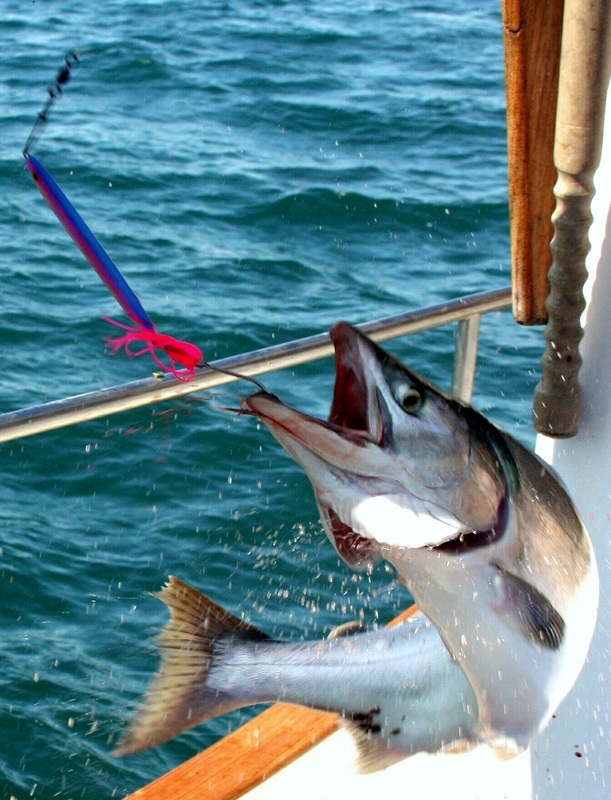 The waters of southeast Alaska are teaming with these scrappy salmon starting in early July. They are best catch on light line to give them an opportunity to showcase their boundless energy and amazing speed.